However, if you want to cast Blu-ray collections to your TV via Chromecast from PC or Mac, and will meet obstacles. The most important step is how to take the movies from the plastic discs and bypass the region code and copy protection. The lucky is that you have got Pavtube ByteCopy | for Mac in your hand, catsing Blu-ray to TV via Chromecast will be as simple as ABC. 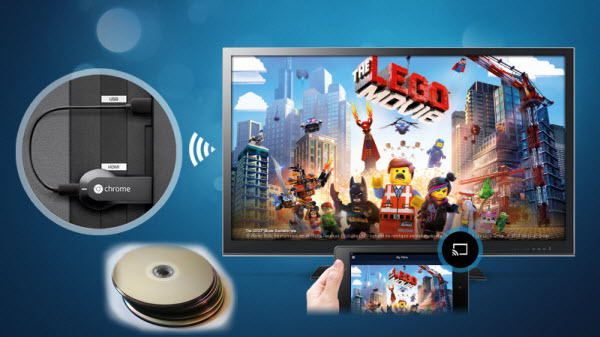 Pavtube ByteCopy is an extremely powerful Blu-ray/DVD copier which can full copy/lossless copy/directly copy Blu-ray/DVD to Chromecast supported video format H.264 MP4/MKV. Besides, this Blu-ray converter can rip BD, DVD, ISO image file to a wide range of formats, like WMV, MOV, 3GP, FLV, AVI, MP4, M4V and the list goes on. Insert movie disc into the BD-ROM, on the software, click "Load from disc" button. It doesn’t necessarily to be a BD/DVD optical media, it can also be an ISO/IFO files to convert to playable digital file format. 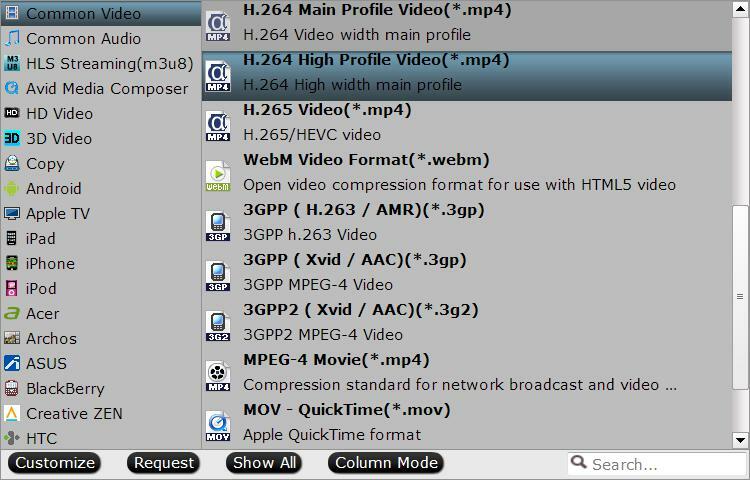 Click “Profile” and select MP4 or MKV as the output format. In the settings, you are allowed to change the frame rate, resolution, bitrate and other specifications of the videos, if the tech terms look taunting to you, proceed to the next step. Finally, click “Convert” to rip Blu-ray/DVD movie to MP4. After the conversion, try open a new tab in chrome and drag a converted mp4 movie to the address bar, and use Google cast to send the movie to Chromecast. After ripping Blu-ray to a digital file, you can use Chromecast to stream and cast the Blu-ray digital video from PC/Mac to TV with the help of Google Cast browser extension. 1.Add Google Cast extension to your Chrome browser (if you haven’t done it). You can get this extension from chrome web store. After successful installation, you can set "Tab casting quality" in "Option" based on your own needs. 2. Type the video file address like "file://d:/hobbit 3.mp4" (without quotation marks) to the address bar in Chrome. When the Blu-ray video is played in Chrome browser, you can stream it to TV via Chromecast using the Google Cast extension. Click the Google Cast extension icon in the Chrome tool bar, and choose the Chromecast device. Then the Blu-ray video will be streamed to TV using Chromecast instantly.